Merry Christmas to us all from the powers that be at Download Festival HQ. 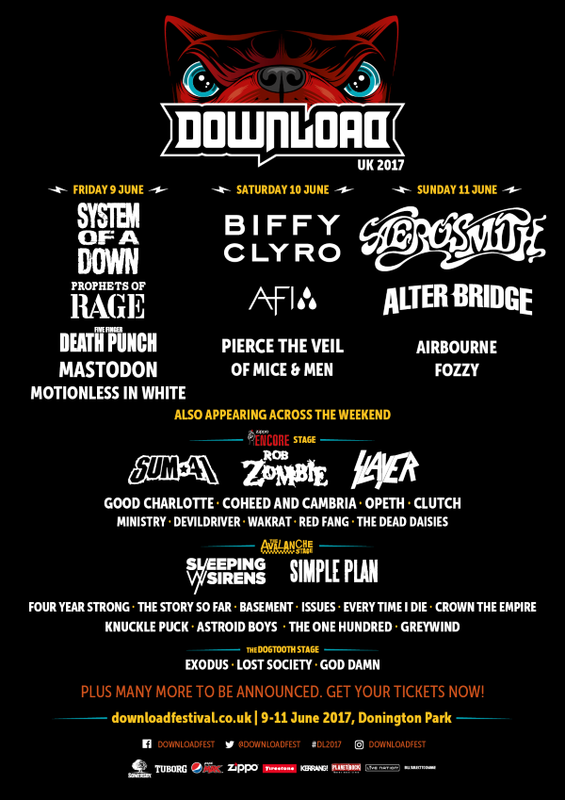 Andy Copping and the team have just unveiled an amazing selection of bands for the 2017 Download Festival that will go a long way towards winning over some of the fans who weren’t already convinced by the first announcement, and make the ones who were even more happy! 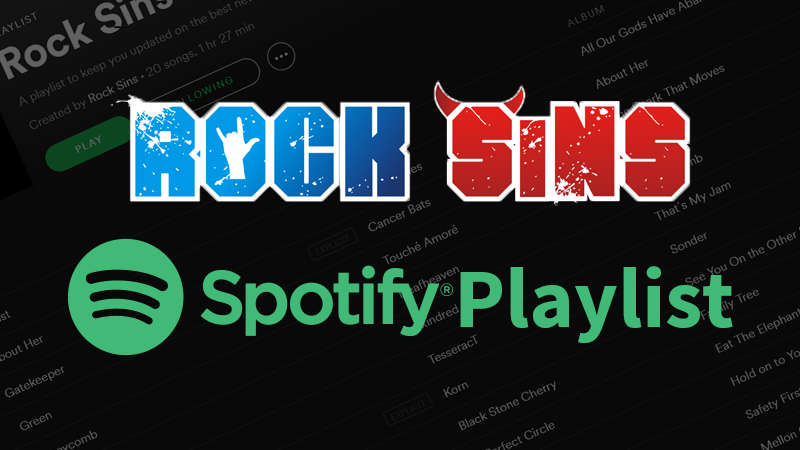 Firstly, our friends at Alter Bridge (read our interview with their drummer Scott Phillips, published earlier today) are back to take up a familiar spot. Last seen at Download back in 2014 as sub main stage headliners to Aerosmith, they’re going to do it again three years later as the perfect warm up for Aerosmith’s Download and UK farewell. They’ll also be joined by Aussie hard rockers Airbourne on the main stage on the Sunday, giving the day that classic rock feel once again. For the metal purists out there there’s an awful lot that should appeal in the shape of prog maestros Opeth and their contemporaries Mastodon, industrial metal legends Ministry, thrash veterans Exodus and highly recommended youngsters Lost Society, not to mention the lords of the circle pit in Devildriver. US groove rockers Clutch will also be back at Download in 2017 to add to the feel good factor. For those who like things a bit lighter and/or a bit punkier, Sum 41 will be making a long overdue return to the hallowed Donington turf, and they’ll be joined by none other than Good Charlotte. Meanwhile Pierce The Veil will be making their Download debut in 2017, and Coheed and Cambria will be returning for the first time in several years. All of those bands will join the previously announced ones including headliners System Of A Down, Biffy Clyro and Aerosmith (in their #AeroVederci final UK appearance). Tickets and all the rest of the information anyone needs can be found at the official festival website. Please stay tuned for lots more Download coverage and build up in the weeks and months ahead!